An ideal place to relax, away from run-of-the-mill tourist destinations, where good wine, good food, and tasting become living experiences to share while having fun. The Wine Lovers Academy is the first wine school in Chianti, a different approach from a standard winery tour. Marco and Alice will guide you with passion and skill to discover the secrets and flavors of Tuscany and will introduce you to their carefully chosen selection of small, organic and biodynamic producers. You will be able to buy all the products you have tasted and much more in our gastronomy store. We are authentic Wine Lovers! We love wine and want to share this passion with you. You will have an unforgettable experience! 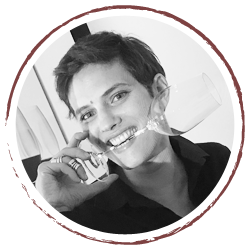 At Wine Lovers Academy you will discover how to understand wine in a simple, pleasing and fun way! We have carefully selected smaller, niche labels, ones that you wouldn’t normally have occasion to taste easily on your travels around Chianti and Tuscany. We are not linked to any winery in particular, but we are free to choose products that we truly believe in and that will make your experience unique! You will not just a passive spectator to a wine presentation: we have created different wine tasting itineraries, all structured in such a way as to make you a fully experience, understand and appreciate what you are tasting. You will compile tasting notes and play, using your senses and imagination, and you will learn how tasting and analyze any products. A life devoted to wine, from different points of view. 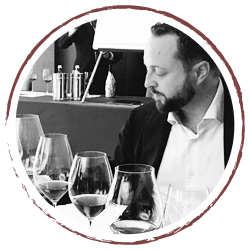 he worked for a long time in Europe, in The United States and in Asia, taking care of the birth of the most innovative concept stores in the world of wine. He presented wine tastings all over Europe, cultivating his oenological culture by tasting the best bottles from around the world! Finally, he decided to return to his origins, in his Greve in Chianti, where he founded the Wine Lovers Academy, to continue living and share his love for wine. Born in Florence and adopting Greve as her own, she was always fascinated by the complex alchemy of human communication and good food. She has worked for years in Advertising Agencies. As a true Wine Lover, she chose to focus on the second of the two passions, not abandoning the first.